Fuel Fired: - Capable of firing LDO, HSD, FO, LSHS, Natural Gas, LPG, Biogas etc. 2. Almost Zero Refractory boilers. 3. Easy access for maintenance and tube cleaning. 4. High efficient boilers are provided with Imported Burners complete with intelligent burner management systems are offered for liquid and gas fuel firing. 5. 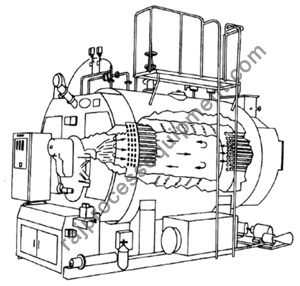 High Efficient boilers are provided with economizer/ Air pre-heater. 6. Manual/ Automatic Fuel Feeding system provided as per requirement. 7. Furnace is provided with primary and secondary air to create turbulence and ensure complete combustion of fuel in furnace. 8. Zero leakage of flue gases due to membrane wall construction. 9. 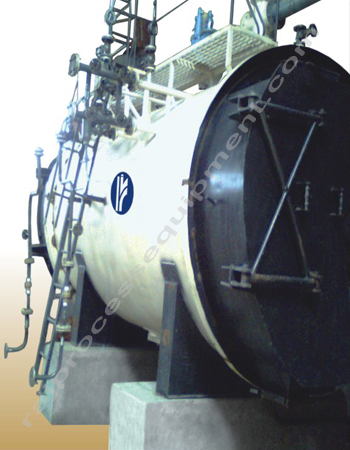 Proper provision for expansion thereby avoiding undue stresses in boiler.